Click the button below to add the Grow New Hair Treatment #Scalp# to your wish list. Hair loss can be caused by many factors including misuse of chemical hair products, hormonal changes, stress, medications, and even the method that you style your hair. These are a few of the reasons that your hair loss may be temporary and growing your hair back may also be possible. Stimulate, feed and nourish your hair follicles to encourage healthy beautiful looking hair, allow this to work through every follicle, one by one. Gradually a fuller more voluminous appearance will develop. Exclusively formulated with more than 30 ingredients not found in any other product. These ingredients have been used since ancient times to improve the look, feel and appearance of hair. This formula is a potent hair care recipe rich with natural energies from hair and scalp loving nutrients. Grow fuller more voluminous looking hair and thicken each individual hair strand with this potent blend. This works on the surface of each hair fiber and at the bottom of each follicle for natural-looking hair with volume, adding thickness to strands. I had hair shedding thanks to meds, my hair looks great and the thinning was unnoticeable to anyone but myself. This hair treatment certainly made my hair look full while I was dealing with the loss. I used such a very small amount each day. I now have a lot of new hair growth and will continue using this as I love how it makes my hair look. My hairdresser noticed thicker hair even though I had not told her. Feed your scalp and hair roots directly for thick, fuller looking hair that feels its best. Made with energic ingredients in their purest form. Moisturizes and soothes dry scalps. Strengthens and conditions hair. I don't do reviews but this one is worth it. I have tried many expensive things and none really work. So, I started this with not too much hope. But I am so happy that it worked for me. I am a woman with female-pattern baldness. Within 2 to 3 months I started noticing fine hair. I wash my hair every 3 days while using this product. I did use their vinegar nutritive rinse first. I wanted to make sure that my scalp was completely cleansed and it really left my scalp feeling fresher than ever before and my hair looked really nice too. I have not had any kind of dermatitis or skin irritation like I did using rogaine. I have spent an extraordinary amount of time and money on my hair just to look OK. Often, I was disappointed when I finally got my hair looking good enough to go out. I couldn't brush through it without having to clean out the brush. I was considering hair pieces, but the costs were too much. Fast forward several months and my hair has body, is fuller than ever. This is truly a miracle. I have lovely hair and every time I look in the mirror, that's what I see. Try it. There's nothing to lose, and ever so much to gain. Wishing you a good hair day. I am in my late-50's and have always been proud of my full thick hair. When my hairdresser mentioned that my hair was thinning I was really upset. I did an internet search for "women's thinning hair," and I found this. After using it for about 4 months or so, I saw new hair growth and so did my hairdresser! Even though the new hair is gray I am very pleased with the results! I've never had a product that works like this one, and I've tried many. This is easily spread thru my hair and immediately thickens it to the point that I look like I have twice the hair. I apply it to damp hair and blow dry on low heat. Also works on dry hair. I just put a small amount in one palm and dab with my fingers to apply to my scalp first. I really do not use that much to get impressive results. Can be used on all hair types. These ingredients provide your hair and scalp with the most tender loving care to help moisturize and strengthen the hair for healthy hair growth. This lightweight formula can be left in to soothe a dry scalp, strengthen the hair and promote healthy hair with less damage and more volume. Revitalizes to promote strong, thick hair. Conditions to make hair soft and manageable. Pumpkin Seed oil contains zinc and magnesium that are vital for healthy hair and skin care. It has antioxidants, vitamins, minerals, and fatty acids such as omega-6 that may stimulate the scalp and help with scalp damage. 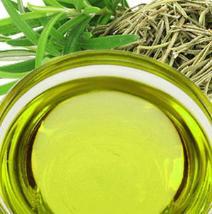 Jojoba Oil mimics the natural oil that is produced on our scalps called sebum. Jojoba oil is a lightweight oil that will moisturize the hair without weighing it down and protect your strands from breakage. Olive, Coconut, and Avocado oils are fatty acid rich oils that help moisturize and protect the hair from the daily strains of combing, washing, and styling. These oils penetrate the hair and scalp and create a barrier to protect the hair from further breakage. Flaxseed Oil has essential fatty acids that nourish hair follicles and prevent inflammation. Due to the nutrient rich ingredients, a little does go a long way. Please use on scalp that is clean and free of buildup. Apply to the scalp with your fingers and massage product into the scalp. Leave on for 2 to 3 hours or overnight. We suggest using our Vinegar Nutritive Rinse Cleanser along with this product. Our cleanser will help remove buildup that may accumulate on the scalp. Once the scalp is cleansed and free of buildup, the product will be able to penetrate the scalp and become more effective. Our products can be integrated with your usual products/ hair care regimen. This product can be used daily. We suggest using this product at least twice a week. This product can be used on wet or dry hair and can be used a leave-in product. Part your hair into 4 to 8 different sections and distribute the oil into the part of the hair for even coverage. Spray the product onto your hand or into a small bowl and apply small a amount using your fingertips to control greasiness. One bottle has enough product to treat your scalp for three months. Instead of spraying the product onto your scalp, try using your fingertips to apply the product. By using your fingers, you can better control the amount you use. Persea Americana (Avocado) Oil, Olea Europaea (Olive) Oil, Cocos Nucifera (Coconut) Oil, Prunus Armeniaca (Apricot Kernel) Oil, Corylus Avellana (Hazelnut) Oil, Vitis Vinifera (Grapeseed) Oil, Cucurbita Maxima (Pumpkin Seed) Oil, Citrus Sinensis (Orange) Peel Oil, Simmondsia Chinensis (Jojoba) Seed Oil, Canaga Odorata (Ylang Ylang) Flower Oil, Cedrus Atlantica (Cedarwood) Bark Oil, Pogostemon Cablin (Patchouli) Oil, Salvia Hispanica, (Chia Seed) Oil, Linum Usitatissimum (Flaxseed)Oil, Hippophae Rhamnoides (Sea Buckthorn) Oil, Salvia Sclarea (Clary) Oil, Rosmarinus Officinalis (Rosemary) Leaf Oil, Mentha Piperia (Peppermint) Oil, Leptospermum Scoparium (Manuka) Oil, Arnica Montana (Arnica), Arctium Lappa (Burdock Root) Extract, Symphytum Officinale (Comfrey) Root Powder, Eleutherococcus Senticosus (Eleuthero Root) Extract, Gingko Biloba Extract, Camellia Sinensis (Green Tea) Extract, Vitis Vinifera (Grape) Seed Extract, Equisetum Arvense (Horsetail) Extract, Glycyrrhiza Glabra (Licorice) Root Extract, Ptychopetalum Olacoides (Muria Puama) Extract, Urtica Dioica (Nettle) Extract, Serenoa repens (Saw Palmetto) Fruit Extract, Panthenol (Vitamin B5). I ordered your treatment to help Grow New Hair. Our finances have been strained because of lay offs and I've been looking at your products for a year and finally managed to order something to help with my hair loss. You need to know this because I could only manage to pick one product I could afford, I was so happy to see there was a sample bottle of Thick Hair shampoo with my order. I've only had one day to use the products. I like the earthy smell of the treatment oil and I really like the smell of the shampoo. I just wanted to let you know how much the free sample is appreciated. I wish you offered sample sizes to buy to try your different products to see which ones help the most. Thank you. I've had to deal with so much .... Weight gain hot and cold flashes, mood swings, etc. But the worse for me has been dry itchy scalp hair loss and super dry hair ! It was so dry that when I'd go to blow dry my hair my hair would literally smoke !!! I was desperate for something to work and then thanks to "Pinterest" I came across your product read the testimonials and decided to give the hair loss cerium a try! After just one week my scalp stopped itching my hair stopped falling out and I'm re growing new hair! My hair feels so healthy again! I love this product and I want people to know it really works and is so worth the price! And they say a little goes a long way that's true ! I put it in my scalp before bed and the next day shower as usual!!!! I love this product u have a customer for life!!!!!!!!!!! I rubbed the Grow New Hair Treatment on two parts on the top of my head as well as at the back of the crown where my hair was beginning to thin as would a man’s... I did that for about a month along with all the other products, and this produced amazing thickness, shine, and looks like more new growth. Seriously, I believed all the testimonials I read here, but I must say I really don’t have words enough to describe this incredible, amazing natural product. All I can say is thank you! I was in an accident almost 6 months ago and was told a patch on my head would never grow hair. I was mortified that I would have a bald patch. After two months of using this grow new hair treatment I have tiny hair growing where doctors said I never would! I can’t wait for my next appointment so I can have them add this product for other patients. I wish I would have known about this product sooner so I could have started the hair growth earlier. I've noticed a dramatic increase in the growth and thickness. My hair is also much shinier now than it has been in years. It feels healthy and has a very natural herbal smell of pure natural essentials oils. No chemicals, no silicones, no perfumes. I have had severe allergic reactions to many chemicals that are found in shampoos and conditioners. 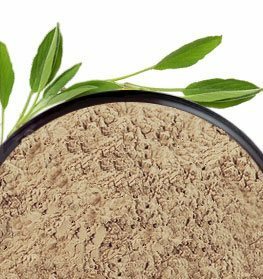 I can recognize when a product is made with authentic natural ingredients. I love to use natural products- my hair immediately starts to grow again. After way too many years - giving me the hair I've wanted for so long. My hair is actually growing and is much softer. I am obsessive with my hair, I wanted really long. This “grow new hair treatment” works very well, and smells terrific. I have been using the product for over three months now and my hair grows dramatically, seems to be totally speed growing! In fact, I lose much less hair than normal now. My hair has never been in better condition! My long hair was unhealthy and falling out. It was a nightmare for me. My hairdresser told me to cut it short but I did not want to wait the years that it would take for it to regrow to the length it is now. Then I found this grow new hair treatment about 6 months ago and thankfully it has restored my hair completely. It has made my hair longer, healthier and thicker than ever before. I apply this on my scalp and at the ends. It did an amazing job and I hope that does the same for you! I’m crazy in love with this grow new hair treatment! It makes me look like I have twice as much hair on my head. For the first time in a long while my hair really looks healthy. I found that I only need a tiny amount applied on my ends and a little more on my scalp. What works for me it that I leave it on all night and shampoo in the morning. My hair is growing stronger and the color is shiner with natural light tones. I now receive a lot of complements and I am loving my new look! I have recently discovered this company and got the grow new hair treatment and shampoo. It is difficult for me to say yet how much this oil working towards the hair growth (at least I am not experiencing hair loss at the moment, although there may be other factors involved). What I can definitely say is that as soon as I started using this products my hair started to look so absolutely incredible, healthy and full of body (just as it was some years back, before my hair problems started). I am so pleased by this products. The best thing I can say to everyone who visits this site is this: DO it...do NOT wait for a minute. Bring back the hair you had as a child growing up young and healthy. And, by the way, I’m 61 years old and you should see my hair!! This grow new hair treatment has everything you need!!! With the first use I could feel a difference that you can’t find in any other product! A silky feel while it’s promoting new hair. This is the best product in my hair care regimen. Use sparingly a little goes a long way. The blend of all these oils was pure genius. Your hair is worth it. I experienced a drastic -hair loss/thinning that was sudden and no cause was diagnosed. I started using the grow new hair treatment and the change has been dramatic! So many people comment on how much thicker my hair has become. pretty much back to normal. . I have never been so impressed with a product line in all by adult life! I will admit it has taken time but I honestly saw a difference after one month. I am so happy I found a natural alternative. This stuff help grow my hair back from stress related hair loss. It is very light and smells good. I massage it into my scalp after washing it. It makes my hair silky smooth. I didn't notice much difference at first but after 4 months, there is significant amount of hair with length at the hairline area where I'd lost a lot of hair. I use a small amount a couple of times a week and have had good results. I will never need to buy anything else because this has improved the quality of my hair and has helped it grow thicker and faster than ever. No more breakage and my hair is growing like crazy. I also have baby hair growing from my scalp! This product lasts about three months and that is with me and my husband using it. So for me it’s a great value in more ways than one. I just wanted to say that this product is great! My hairline became very thin with practically no hair from wearing weaves. This product brought my hairline back a made it thicker. I went from having hardly any inches to 2 inches in about 6 months! For me it is worth the price and it does what it says. I am very pleased. My hair was thinning, I ordered this product to give it a try. I started using and it really does work! You may find this hard to believe, but this product DOES Grow New Hair. After a month long coma, my hair fell out. The ladies at church told me about Grow New Hair, skeptical....I tried it. Within weeks I had a full head of hair back where there was only patches. When my Brazilian friend starting losing her hair, I lent her my bottle and she too, within weeks, had a full head of hair. The receding hairline was no more! I tell EVERYONE about it. So now...I'm having my husband try it after chemo therapy. He even lost his mustache! (But I'm using it only on his head!) I can't believe how an all NATURAL product has such wonderful results! Thank you Just Nutritive for making a product that REALLY works!